Producing sufficient feed for livestock is no mean feat. Crops that have the ability to utilise soil moisture efficiently, are a valuable weapon against drought conditions. When high volumes of good quality feed is lost due to inefficient utilisation of soil moisture, major gaps can appear in a fodder flow programme. Japanese radish, however, are crops that utilise soil moisture well. The Japanese radish (Raphanus sativus) is a tuberous plant that needs no introduction. It has a good reputation as a drought-tolerant crop that has stood the test of time. Japanese radish can fill the gap in any fodder flow programme and will deliver good yields despite moisture-poor soil. This wonder plant is suitable for cool, moderate regions, but can also be planted in favourable conditions in the warmer regions of the country, provided that there is enough available soil moisture. In addition it can be planted from late December to mid-March, with the optimal planting time being January to February. This period is usually too early for planting wintergrains and almost too late for subtropical grasses. Japanese radish are able to utilise the late summer rains, converting it into highly nutritious fodder for the late summer and winter months. A dry matter (DM) yield of up to 10t/ha is possible. 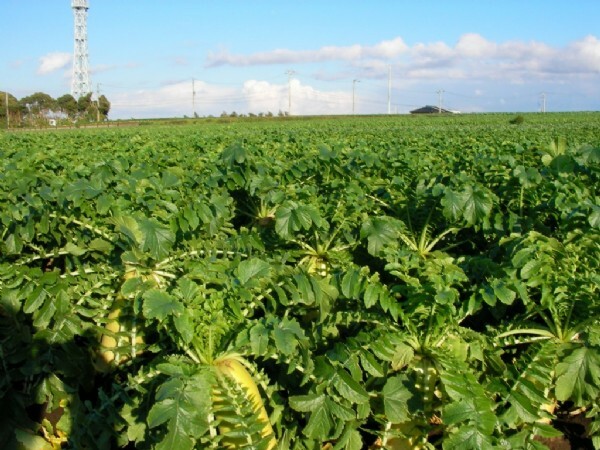 Japanese radish can rapidly produce highly digestible feed that is also high in energy and protein. The crude protein in radish leaves ranges from 15 to 25% and that of the tubers between 9 and 16%. The plant can cause exceptional weight gain in livestock. Lambs fed Japanese radish can grow up to 250g per day and calves up to 1,2kg per day. Japanese radish will be mature within 14 weeks of having been planted. Note that grazing during this period is not recommended. Large bronze-coloured leaves are an indication of maturity. Continuous grazing can cause the loss of good quality fodder. Strip grazing with a movable electrified fence will assist in achieving efficient grazing of the crop. This method can limit severe trampling of tubers and plants. It will also inhibit the mobility of the livestock, resulting in more uniform utilisation of the pasture. Strip grazing is often more effective with dairy and beef cattle, than with sheep.